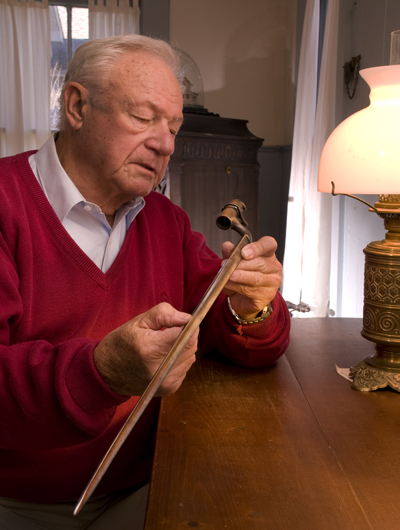 Bob examines an antique triangular bayonet, a particularly cruel weapon used during the American Revolution. Learn about author and historian Bob Mayers, his speaking events, and most of all about his insightful books and publications. 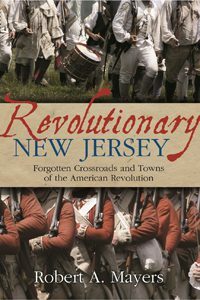 His new book, Revolutionary New Jersey-Forgotten Towns and Crossroads of the American Revolution, has been released and is available from the publisher American History Press, online at Amazon. You might believe that everything fascinating, unusual and shocking is already known about the Revolutionary War in New Jersey. But, many dreadful realities of warfare in the Garden State have been forgotten. Join Bob on Comcast TV as he rediscovers NJ battle and encampment sites, lost or neglected by history. It’s an exciting adventure. Places where patriots fought and died are unmarked, shrouded in mystery and clouded in mythology. Some have entirely disappeared while others languish unnoticed. Walk in the footsteps of Revolutionary War soldiers to feel, see and hear the action that occurred over 200 years ago. Learn the impact of topography. Familiar mountains, waterways, hills, rivers, roads, cities, forests and coastlines determined troop movements, battle sites, supply routes and created natural defenses. 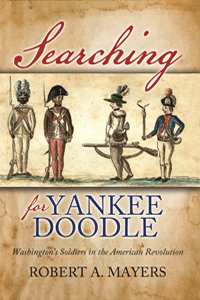 Searching for Yankee Doodle-Washington’s Soldiers in the American Revolution What inspired George Washington’s common soldiers, to endure appalling hardships during the most critical time in American history? This work, published by The American History Press, is one of few dedicated studies ever written that unravels the lives of the “grunts,” “doughboys” and “GIs” of our most important war. The image of the common soldier was sanitized for more than 200 years as Americans cherished the golden myth of the patriotic citizen soldier. This book reveals that the Yankee Doodles were largely driven by economics and many other non nationalistic motives. The lives of the soldiers, before, during and after the war are analyzed in original military records and personal documents. The Forgotten Revolution, (Heritage Books, 2014) Battlefields, encampments and sites of many critical events of the Revolution have been lost or neglected by history. Man-made changes to terrain have been enormous since that time. This work revives these forsaken locations with fresh research from original military records and on-site visits. Analysis of obscure documents ignored by earlier writers yielded many surprises. At each of these places “witnesses” people with special local knowledge were sought out. The War Man, (Westholme Publishing, 2009) chronicles the life of patriot soldier, Corporal John Allison, a New York farm boy who joined the Continental Army in 1775 and who fought during the entire eight years of the war. Bob Mayers reconstructs his life in combat using letters, muster rolls, orderly books, service records, and oral family history. This soldier’s life before and after the war are equally fascinating. Wanted to let you know that the Historical society is taking Russ out to lunch, tomorrow, Thursday 9/7 at the Bay Pointe Inn in Highlands at noon. Join us if you can. Let me know if you can make it.